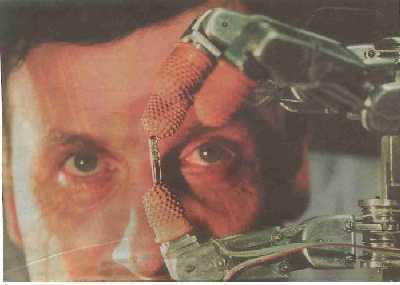 In 2002, Professor Kevin Warwick surgically implanted a one hundred electrode array into his left arm. With this, he is becoming something akin to a missing link; a link between man and machine. The surgery was carried out by a research team led by Dr. Mark Gasson. The array is surgically placed into the median nerve fibers in Warwick’s arm, allowing him to use and manipulate mechanical objects with his thoughts. In the years since he’s had the implant, Warwick has been able to operate and control an electric wheelchair and an artificial hand. While this is already incredibly impressive, Warwick’s experiment reveals another extraordinary feat. Warwick explains that within six weeks of using the interface, the brain will begin experience sensations of force like the sense of touch, even in artificial limbs. This can open doors to people who have suffered paralyzing injuries and illnesses. Advancements on the implant could allow para- and perhaps even quadriplegics, the ability to walk and use tools as if they weren’t missing limbs. The scariest knock to this experiment is the surgical implant itself. While it may grant mobility and a normal life to those robbed of it, surgery is still a huge price to pay for such mobility. Also, what about incompatibilities between implant technology and foreign technology? Will this implant be adaptable enough to survive changes in technology?